A message from Institute for Civility in Government co-founder, Cassandra Dahnke. Some people think it never happens. They think that Republicans and Democrats cannot work together, or even have a civil conversation. But those people are mistaken. It does happen – and could happen more if more people would speak out for civility. For years the Institute for Civility in Government has sponsored Congressional Student Forums. These bring two members of Congress from opposite sides of the political aisle together on college campuses around the country in order to model civil and respectful conversations with students and faculty on whatever issues the students bring to the table. The conversations are lively and informative. And they are critically important to our civic process. Congressional Student Forums set an important precedent for students’ future civic involvement – they set a high standard for citizen empowerment and participation, and a high standard for civility and respect. But they are important, too, for building collegial relationships among members of Congress who have far too few opportunities to spend time together, sharing ideas rather than beating each other up with them. Historically, the Institute has been able — at best — to host only one Congressional Student Forum per semester. This is in part because university schedules are highly complicated, and in part because members of Congress are very busy. But making the time for these events is not impossible. And when it all comes together, the experience is an exceptional one for all involved. 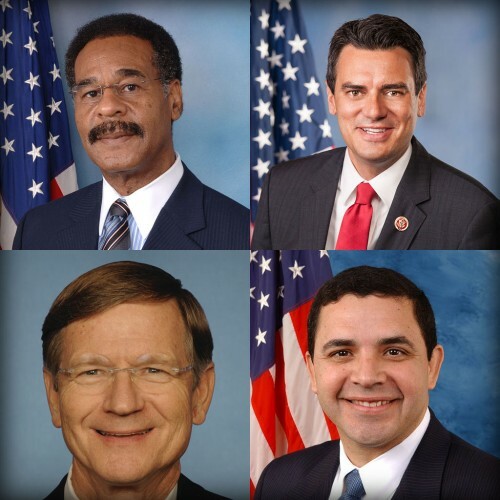 This spring, the Institute has scheduled not one, but three Congressional Student Forums: at Lone Star College, North Harris (Houston) with Representatives Kevin Brady and Gene Green; at the University of Missouri, Kansas City with Representatives Emanuel Cleaver and Kevin Yoder; and at University of Texas, San Antonio with Representatives Henry Cuellar and Lamar Smith. Why the increased success? It is because these members of Congress have made it a priority to make it happen. They worked to make it happen. They wanted it. And they accomplished it. 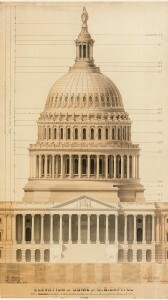 And more members of Congress might, too, if they knew that their constituents wanted them to participate in events like this: events that are bipartisan and civil, that are not debates, not contents to see who wins and who loses — but opportunities to share different ideas and philosophies so that we can all consider them more carefully. It is in events like these where conversation is created and new ideas and relationships are born. Our vision is to grow interest in civility and membership in the Institute large enough to shift the culture — so that one day, when members of Congress are elected, they make scheduling Congressional Student Forums a priority, not an afterthought. Can you imagine what a difference that would make in our political discourse? Our communities? Our nation? It can happen. But it needs your support. Tell your member of Congress that you care about civility. Join the Institute today. Keep the movement growing. This week, the Institute for Civility in Government is holding two Congressional Student Forums: one will be today (Monday, April 21) on the campus of the University of Missouri, Kansas City; and the other will be tomorrow (Tuesday April 22) at the University of Texas, San Antonio. For those who do not know, Congressional Student Forums are hour-and-a-half programs featuring two U.S. Representatives, one Republican and one Democrat, who dialogue (not debate!) about current issues. In this format, it is the university students who set the agenda through their questions to the members of Congress, allowing them a particularly empowering opportunity to interact directly with their elected officials. The Institute has been holding Congressional Student Forums since 1999, and has worked with more than a dozen members of Congress to offer students an up-close understanding of the governing process that also models civility. This week, the Congressional Student Forum at the University of Missouri, Kansas City will consist of a conversation between Representatives Emanuel Cleaver and Kevin Yoder. Cleaver, who is a United Methodist Pastor, has represented Missouri’s 5th District since 2005. Yoder has represented Kansas’s 3rd District since 2011. Both congressional districts include Kansas City itself. The Congressional Student Forum at the University of Texas, San Antonio will feature Representatives Lamar Smith and Henry Cuellar. Smith has represented Texas’s Texas’s 21st District since 1987, and Cuellar has represented its 28th since 2005. And both Representatives’ territory includes parts of San Antonio. The University of Missouri, Kansas City Forum will begin at 3:30 PM on Monday, April 21, and will be moderated by Institute co-founder Tomas Spath. The University of Texas, San Antonio Forum, moderated by Cassandra Dahnke, begins at 10:00 AM on Tuesday, April 22. Congressional Student Forums are free of charge for students, and usually not open to the public.